1960’s Rock Posters Take Center Stage! We are pleased to report that vintage 1960’s Rock Concert Posters are once again attracting major interest and recognition on the World’s largest stage. 1) 1960’s Concert Posters are being featured in the most important city in the world. 2) The exhibit is taking place at one of the most respected museums in the world. 3) These posters will be seen and exposed to literally millions of visitors of the museum throughout the year. 4) The exhibit is receiving worldwide press exposure. 5) Our beloved 1960’s Concert Posters are being recognized as LEGITIMATE ART of HUGE HISTORICAL IMPORTANCE! If you are anywhere near the New York City area, we urge you to visit the museum so you can see the incredible strides this artwork has made in recent years! 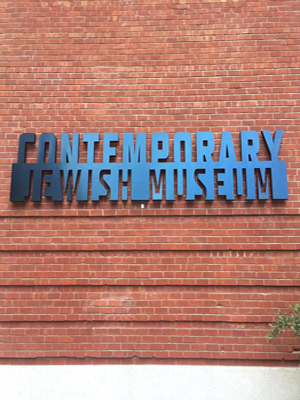 Secondly, The Bill Graham Exhibit, that we previously reported on when it opened in Los Angels last year, has moved to the Contemporary Jewish Museum in San Francisco. We recently had the privilege of seeing the San Francisco exhibit and was delighted to see close to 100 visitors admiring the exhibit, mid- day, on a Tuesday afternoon! If you are anywhere near San Francisco, we urge you to hurry and see the exhibit before it closes on July 5, 2016. The importance of these two exhibitions cannot be overstated! While the posters we all know and love are being recognized as major pieces of important artwork, they are still bringing basically flea market prices. Make no mistake about it, this is the time to build your collection, while prices are still less than 5% of what other collectibles of comparable rarity and historical importance are worth. To read more about the MOMA exhibit, click here! To read more about the Bill Graham exhibit, click here!